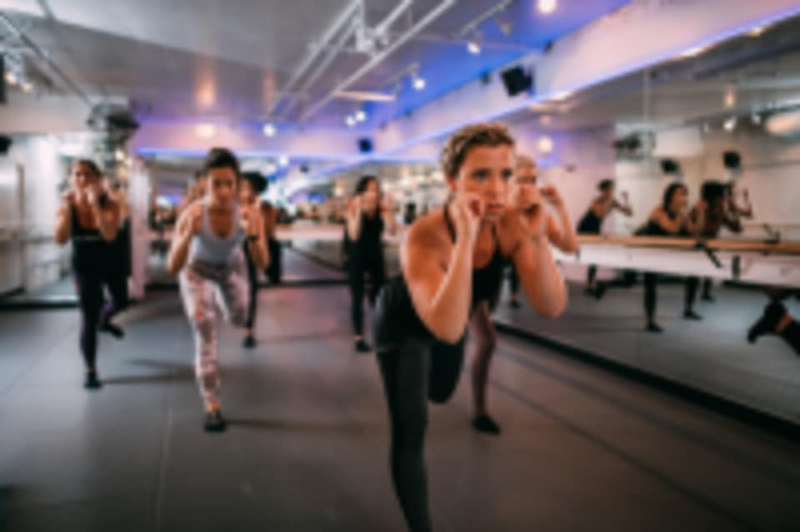 The Barre Code is a boutique fitness studio that offers a complete program of traditional barre, HIIT training, bootcamp style classes, kickboxing and restoration. The blend of an all encompassing full-body program within a motivational classroom setting is what truly sets The Barre Code apart. The empowering and energizing experience transforms fitness from an obligation to a lifestyle. Socks are required for all class formats. They encourage but don't require grippy socks. Grippy socks are for sale at the studio location. You do not need a mat. They are located in the basement of Mellow Johnny's Bike Shop on the corner of 4th and Nueces. For the morning classes, you will be required to enter through the back door. There is plenty of street parking around the studio and a paid lot in the back of the store. It is $2 for 1.5 hours. Great workout just wish personal corrections were given so we know that we have the right form while doing the moves. Good class. Studio a little dark and awkward shaped bc it’s in a basement and would have preferred more core and seat and less legs, but still a great workout. Such a good workout!! Tough but also fun. Great workout and the teacher was good. I liked that she went around and did corrections as some teachers don’t do that. I do wish they used mats to do some of the moves on as I felt like the floor they have was a bit hard. Microphone was echoing, maybe some acoustic panels in the space would help? Great workout with Jessica! Just the right amount of people to get 1-1 attention. Thanks! Wish there was more core worked in! Really friendly instructor and class goes by fast.